Courtesy of Ger Kennedy, Antarctica 2020. Ger Kennedy announced the expedition goals of the Antarctica 2020. "Antarctica 2020 is an environmental swim that will create awareness for two non-protected, potential Marine Protected Areas in the Bellingshausen Sea and the Weddell Sea. Participants can be part of one of the greatest group environmental swims on the planet that are held inside the Antarctic Circle (66°33′46.5″ south). All the swim distances will suit all the participants from 5 meters to 1000 meters. It will be an international group of winter and ice swimmers and supporters with a like mindset." The goals of this expedition are to celebrate Lynne Cox's pioneering Antarctica swim in Neko Bay in 2002, to support Ocean Advocate Lewis Pugh in his #Antarctica 2020 campaign, and to celebrate the 200th anniversary of the discovery of Antarctica by Russian explorer Fabian Gottlieb Thaddeus von Bellingshausen. It is a non-profit expedition whose swimmers will assemble in Ushuaia in Argentina. 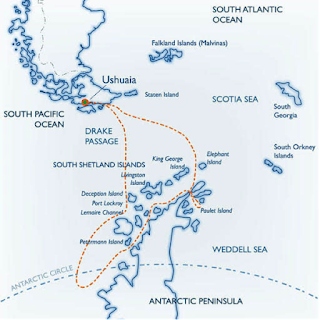 Along the way onboard MV Ushuaia, the swimmers will listen to various lectures on Antarctica wildlife and its ecosystem as they sail to the Antarctic Circle in order to swim. There will be several landings for sightseeing and wildlife watching as they visit various locations in the Bellingshausen Sea along the peninsula for swims. 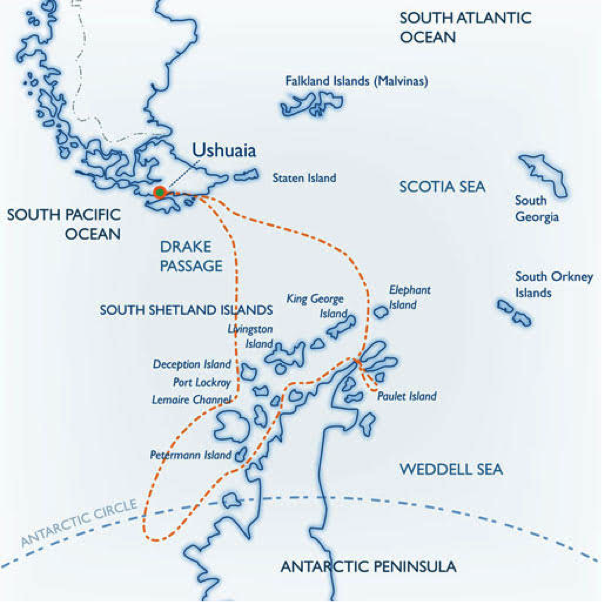 Then they will sail into the Antarctic Sound into Weddell Sea and swim during their 12-13 days at sea in February - March 2020. For more information, contact antarctica2020swim@gmail.com.